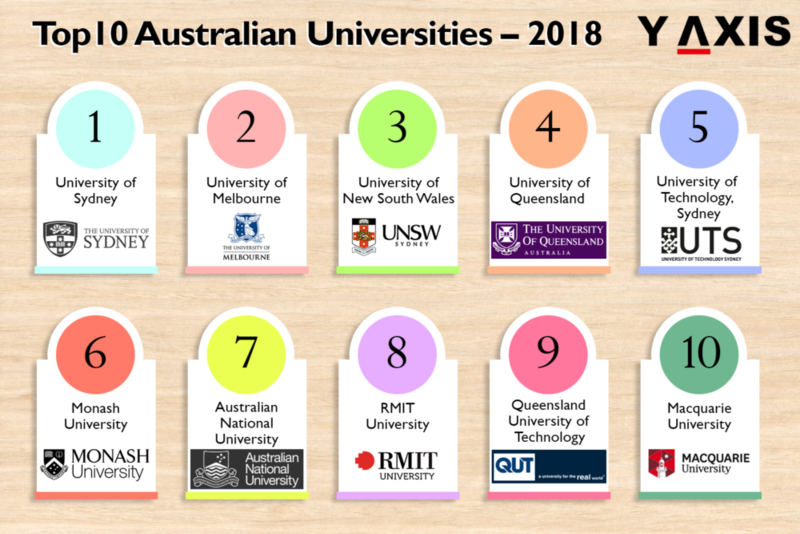 Below are the Top 10 Australian Universities for 2018 based on graduate employability. This university retains its top position as the highest ranked in Australia for graduate employability even in 2018. It is active in hosting workshops, employer information sessions, and career fairs assisting students and employers to network with each other. Boasting of 4 Prime Ministers of Australia as its alumni, this university is the second-ranked in 2018 for graduate employability in Australia. The start-up accelerator launched by the University of Melbourne is named 8th best globally, as quoted by the Top Universities. 5 Stars were recently awarded to the UNSW in the Good Universities Guide for ‘Getting a Job’. It was also found that 76% of this university’s undergraduates found a job within 4 months of graduating. UQ offers its students a cost-free online course in employability and has a rate of graduate employability higher than the national average. It also has diverse other initiatives for optimum success of students. 76% of the UTS graduates who are Australian-residents get a job within 3 months of completion of their studies as per the latest report. The average salary is 53, 130 $. It runs a range of events and career fairs for students. It features in the Global Top 50 for Employer Reputation that reflects its fame as one of the prestigious Australian Universities. Monash University has diverse career seminars, events, and industry panels. 88% of the graduates of ANU get a job within 4 months of completion of their studies. This has been revealed by the Graduate Destination Report. It offers several opportunities for volunteering. This university offers support to its entrepreneurial students with its RMIT Activator. It is a customized interactive program that offers the opportunity to create ideas, launch start-ups, and access collaborative workspaces. Having a global outlook, QUT describes itself a ‘University for the Real World’. It actively promotes connections between students and employers through Work Integrated Learning and career fairs. 89% of the graduates of this university obtained a full-time job within 12 months of completing their studies. Macquarie University offers the chance to its students to obtain practical exposure to industry within their degree through its unique PACE Program. Retaining its top position amongst the Top 10 UK Universities this year too is the University of Cambridge that was established in 1209. This makes it one of the global oldest universities and it has around 19,000 students as of now. *Also, know few more other most affordable Universities in Australia for Indian & International Students. If you are looking to Visit, Study, Work, Invest or Migrate to Australia talk to Y-Axis, the World’s No.1 Visa & Immigration Company.